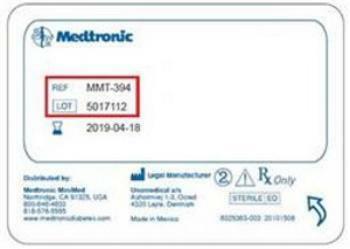 Medtronic is recalling specific lots of infusion sets used with all models of its insulin pumps. The vent membrane in the recalled infusion sets may be susceptible to being blocked by fluid during the process of priming/fill-tubing, leading to potential over-delivery of insulin shortly after an infusion set change, which may cause hypoglycemia. Currently manufactured infusion sets, available to patients since April 2017, include a design update of this component which the company believes reduces the risk of insulin over-delivery after an infusion set change. Medtronic recommends that customers use only infusion sets made with the new and enhanced component, the membrane, starting with their next set change. U.S. customers can determine if they have recalled infusion sets by visiting https://checklots.medtronicdiabetes.com. Customers outside the U.S. will receive instructions specific to their country. U.S. customers who have experienced an issue with the use of a Medtronic infusion set may report it to the firm's 24-hour helpline at +1-800-204-7616.